So, I am working on a shower with tumbled travertine 8"x8" and the grout lines are 1/4", wavy and it will be extremely hard to remove all the grout in this 5X3X8 shower. the grout in the corners are cracked, and there is a few spots in the middle of the tile that also has cracks.. I'm concerned as to what is causing the cracks in the middle of a wall, and I am not going to warranty anything. I'm going to remove the grout what is cracked, and strip the rest. This is probably a cheap polyblend sanded grout and I plan to use a good laticrete over the old grout and in the newly removed areas. Do you think after striping that the new grout will bond to the old grout? Or is this just a tear out? I dont want to try and scrape all this grout out because there is just too much labor involved IMO. thoughts? Thanks! I'm not sure what you mean when you say you will strip the rest. Not sure what product you would be using for that. 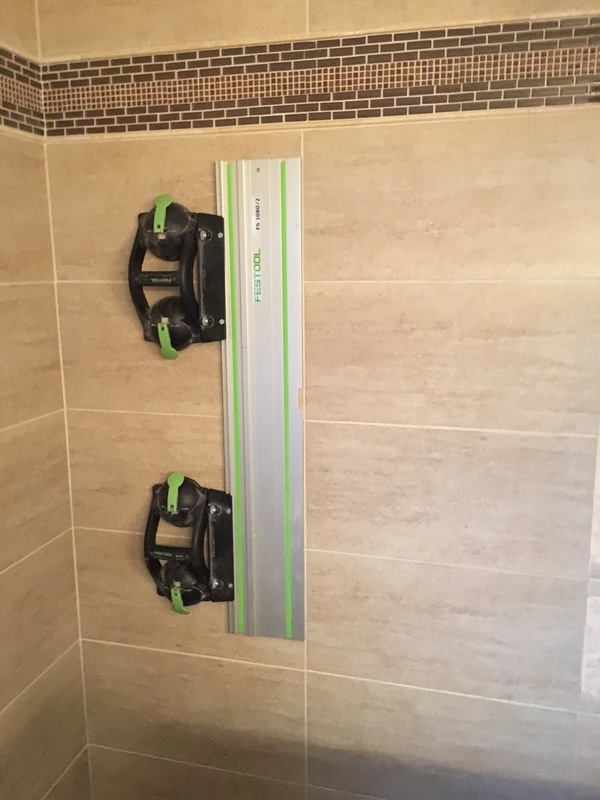 But anything short of cutting out the old grout and getting new grout install a proper specs is a waste of time and your clients money. You can't "skim" grout over old grout with any success. I agree with you that I wouldn't want to cut it out. I'd personally want to sub that to an outfit that does it. Let them have all the fun. 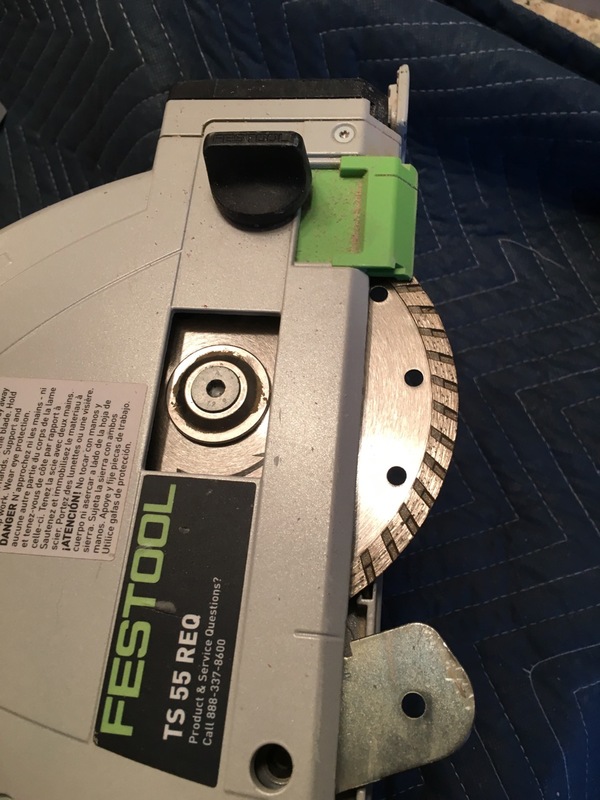 Track saw with an ATS diamond blade. Thanks, I learn something new here almost daily. That mosaic will be fun. What if you have mold behind the travertine? The grout may be failing because the travertine wasn’t/hasn’t been sealed so water has infiltrated the stone. Nothing to it. 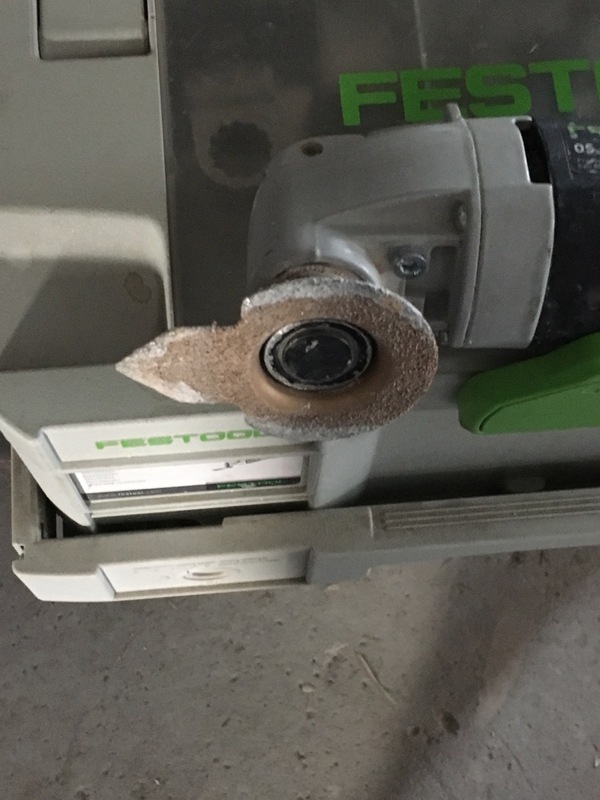 Much more controllable than a hand grout saw. I'd sell them new tile job. Bid tree fiddy. How do those cups work on not smooth surfaces? What do you consider not smooth surfaces? If it doesn't seal, it won't hold. You'd have to try them surface to surface. Mounting tape if the Gecko's don't work. I guess we'll never know how the story ends.